They trundle an excavator in through the side yard, tear the old stump of the Rainier cherry from its useless roots. It must be loud, messy, almost violent: this unearthing, these men digging a hole in my backyard. They are doing all this work while I’m gone, so I don’t need to witness the upheaval. It must scare the cat; I know I’ll find her as a haggard lump under the covers when I get home. The men keep digging and digging, looking for good earth on which to build. And so it begins, as most things do—with a hole. For over two months, 33 Chilean miners have been trapped underground in a mine collapse. It’s a story that seems impossible in its dimensions: all these men surviving the collapse in the first place, then being found, a small bore hole drilled a half mile to make contact. The first missive: “we’re all alive.” The rescuers lowered down supplies—protein drinks, aspirin—and told them to wait, to not give up hope. They brought NASA on board to help the men deal with confinement. They had counselors speaking down into the hole to help the men with anxiety and depression. The relatives kept watch in Camp Hope. We kept watch for a little while, waiting to see what would happen next. Then most of us forgot all about them. When I was nineteen years old, a fertilized egg made a microscopic hole in my fallopian tube. When I was twenty, the other tube, not to be outdone, copied the first one. Another hole; another atomic explosion. I felt the first one as it occurred, a kind of ripping. The second time, I’d become wise to their shenanigans, knew the little tug from inside, got onto the exam table so the doctors could peer inside my most hidden tissues. The ultrasound tech was not sympathetic. She kept her face closed as she rubbed the ice-cold wand on my bloated belly, pushed into my full bladder. I don’t remember the doctor arriving, don’t remember the sentence he gave. I only remember the shivering. My dog, when I give her a rawhide bone, immediately runs with it to the bedroom, where she tries to dig a hole in the carpet. My home is riddled with imaginary holes. When I was a kid, I used to play in a hole in our backyard. Well, not really a hole, more of a wide depression that filled with water when it rained. My father, so fastidious about his lawn, could never quite get this depression under control, so every time it rained in L.A. (almost monsoons—they made mudslides out of the rich neighborhoods on the coast), we got a lake in our backyard. I splashed in it by myself, made up stories of treacherous, impossible water crossings. When the rain stopped and the sun came out, the water dried up quickly and you could hardly tell there’d been a hole at all. Sometimes depression feels like a hole you fall into, that’s how many people describe it. You’re walking along, and then whoops, in you go, tumbling down and down and down. You can smell the dirt. You get jabbed by the rough ends of roots, the hard nubs of rock. It’s dark in a hole, depending on its depth. Some holes are shallow and some are deep. All of them require the knowledge that you’re in a hole in the first place, in order to start climbing out. And now, in the middle of our night, the 33 miners ascend through a long hole, one by one, in a capsule built just large enough for a single man, arms wrapped around his chest, like a sarcophagus. The trip takes 20 minutes. One miner describes it as being “like a cruise.” One miner drops to his knees in prayer the minute he emerges. One miner runs through the crowd trailing the Chilean flag, leads them all in a raucous anthem. The first miner greets his four-year-old son, who cries and cries and cries. All the miners are hugged, hard. They are hugged by wives, mothers, fathers, sons, daughters, girlfriends, and the country's president. We keep watching, anxious to see again and again that first poke of the capsule through the rim, that sign of life, the earth disgorging its hostages. They all wear sunglasses during this rescue, even at night, because it can hurt the eyes to come back into the world. In the hole in my lawn they’ve found an old garbage pit. This new hole was once another hole, used by families for decades to get rid of things they didn’t want. I don’t know what’s in this garbage pit because I’m gone, but they do tell me, indirectly, that this will cost me. They have to dig down deeper than they thought, because garbage makes for insecure footings. You can’t build on top of garbage, they explain. That’s the thing about holes. They’re just begging to be filled. There is some debate about which hole in the earth is the largest. Some say in Mirny, Eastern Siberia, Russia. Some say in Bingham Canyon, Utah. Some say a diamond mine in South Africa. The more it gets discussed, the more holes there turn out to be, and hole aficionados become incensed about the accuracy of data, the skewing of statistics. Metrics vs. feet vs. altitude vs. surface width, etc., etc. Almost all these holes were created to extract something: diamonds, copper, coal. At least one was dug to explore the properties of the earth’s crust. The hole in Siberia was dug by hand, hours and years and decades of moving dirt. They do not want to fill in these holes. A filled hole, in this case, would defeat the purpose. A doughnut is defined by its hole. A doughnut without a hole is a doughnut hole. But a doughnut hole is not the hole gouged out from a doughnut; it is a doughnut of its own making. When I was 12 my dentist pulled out nearly every tooth in my head; well, that’s how my mother put it. I think it was nine teeth, maybe more, I can’t remember. Baby teeth I hadn’t lost yet, and some adult teeth that tried to muscle their way in to places they could never fit. I have a small mouth, apparently, and big teeth: the perfect combination for the orthodontist’s coffers. They gave me a light anesthesia for the oral surgery, light enough so I remained conscious, but deep enough so I couldn’t feel any pain. I saw several heads leaning over me, obscured by the bright lights they shined into my mouth. At one point I heard someone say the teeth are flying! and I imagined them yanking all my teeth out with glee, white teeth clattering against the walls, dropping to the floor like hard snow. Afterward they gave me all my teeth in a plastic cup; some were still bloody, with yellow roots, some were small perfect squares, with each ridge of molar perfectly defined. I ran my tongue over the holes in my gums, tasted blood and spit, felt the ache rise as the anesthesia receded. For days afterward my mother fed me milk shakes, soups, soft bread. I felt my gums swell and contract, felt the holes readjust themselves to the shape of my gums. Eventually they put braces on the remaining teeth: straitjackets that made everything align. I tuned in to the live video feed just as they cranked the 13th miner out of the ground—a 27-year-old man whose mother waited on the sidelines as her boy traveled through the earth’s crust. She rubbed her hands together, over and over. It felt as though we could just as easily be watching a journey the other way, a reentry from the cosmos in a rocket ship. The capsule looks like a rocket, and it fits just barely through the passage as it aims its way toward light. Twenty-one inches wide: the miners, in their last days underground, had to be monitored to make sure they would fit. By now they’ve been eating well: the miners have been fed cylinder-shaped empanadas and other delicacies throughout their ordeal. There are rumors of a book deal, a movie treatment. The rescuers have been at it several hours through the night—as soon as one miner arrives they ready the empty capsule for the next descent. The capsule—hours ago so shiny and new, painted in the colors of the Chilean flag—already looks worn and battered from its travels. There are holes in my memory now. Holes that never used to be there. I’m not talking full-fledged amnesia, though that condition fascinated me as a child: to imagine a woman walking around without any recollection of who she is, piecing it together through ID cards, stories, looking intently into the eyes of companions who try to reconstruct life, and a memory, for them. I pictured myself wandering a lonely street, a body without a brain, the brain now blank, the brain its own messy and subterranean hole. I didn’t admit it at the time, but I kind of loved the silly movie Fifty First Dates; in it a woman wakes up each morning with her short-term memory gone. Her husband has to recreate for her her life, bit by bit. He leaves her notes, they make a video. Eventually she’s able to progress, to have a child, a family: each day swimming out of that hole like a diver with her finds. Into Perfect Spheres Such Holes Are Pierced. Catherine Barnett wrote this book of poems after her two young nieces were killed in a commercial plane crash. Alaska Airlines flight 411. It’s a plane crash all of us in the Northwest vaguely remember, somewhere in the back of our minds—no survivors, all of them coming home to Seattle. And just ordinary people, like us. Barnett and her sister—the girls’ mother—will never be able to forget. Will not want to forget. Will imagine it over and over, the girls suddenly let loose into the sky. In this case, rescue is impossible. They will never be returned. Each word in that title stabs, even the word perfect. Each word, its own precise little hole. The holes in me are not perfect. A little ragged around the edges. A little hard to trace. Those two fallopian tubes have mended their holes but are no longer intact. That means every month an egg pierces the membrane of my ovary and travels its jolly way down that fleshy tube, singing its ovulation song, primping for its encounter with the man of her dreams. And then wham: that wall of scar tissue says, no dice. She flattens, slides to the floor with a splat. My neighbor’s cat died when it was shot with a BB gun. Two microscopic holes, almost invisible, in her hip. Who is killing our cats? Michele asked. I kept my cat indoors for a while, but soon she was out again, looking for trouble. As a kid I wanted to be swallowed by quicksand. I wondered what it must be like to sink in like that, to feel the pull of the earth drawing you deeper toward the center. To watch the world’s surface disappear, bit by bit: goodbye first to the trees' tops, then the trunks, then to be swimming among the roots. Because that’s what it comes down to, right? The root. They keep the camera focused on the mother, who wears sunglasses so you can’t see her eyes, but she keeps wiping away tears with her index finger. Her hard hat falls off every time someone comes over to give her a hug. They’ve been waiting a long time for this, all the relatives, waiting for their sons, husbands, fathers to come back. They must have lain on the ground, felt the earth with their whole bellies, turned their cheeks to hear whatever they could. To say I love you. To say, be strong. Hoping a voice doesn’t have to be just a voice, but can be a whole person traveling through layers of rock, veins of copper, striations of mud. We’re all crying now: thousands of us sobbing as we bear witness to the impossible. Holes for the light fixtures, holes for the outlets, holes for the windows, the doors. It seems impossible that the walls could ever become solid, something to keep you safe. When the men are done with all their holes, I stand out on my new deck, and I can see molehills on my lawn. They spring up every morning, in different places, though I have yet to see a mole, yet to have my cat bring home a mole, and yet to see an actual mole hole. The phrase “holy moley,” they say, comes from the plant used by the Greek gods to turn a man who had been turned into a pig back into a man. Mortals can’t pick this plant or even distinguish its white flower, its black stem. But maybe moles can. Moles as they tunnel underground, searching among the roots. I thought there was a connection between hole and holy. Though it turns out holy is more related to whole, with a W. But oh, how I want that false correlation! The way holiness seems shot through with holes, like lace. Sometimes I can still feel my ovaries churning out those tired eggs, with their frowny faces and tired passage to nowhere. Can we just stop this now? I imagine them saying, dragging their feet as they’re shoved out the door. A different kind of digging a hole and filling it in again, pointlessly, over and over. Or maybe it’s a phantom pain. The kind that remains even when the source of pain is gone. This is a different kind of hole, the kind you can’t fill because it doesn’t really exist. When I woke from my colonoscopy, I opened my eyes and saw my friend Nancy there at the bedside. I said hello. She said hello. Later, she told me that I had talked to the doctor for ten minutes before I woke again and said hello. Really? I said. I searched my mind and could not pull up one shred of that conversation. It bothered me for days, bothers me still, that there is this ten minutes I’ve lost forever. But something broke its way through the forgetting drug. That night, I dreamed a sharp pain in my abdomen, something snipping away there in the dark. I once knew a painter who painted only the spaces in between, ethereal washes of aqua blues and greens, the faintest yellows. There was depth to them, something that drew you in. I could stare at her paintings for a long time and feel for a little while what it’s like to exist in a hole with no edges, no boundaries, no circumference. A hole without its rim—is it still a hole? Or something else? A-hole. Pie-hole. As in shut your pie-hole. There’s something disparaging about the word hole. You say it enough, and you begin to feel angry. Hole, hole, hole, you mutter like a madman, talking to yourself. Jigsaws, I hadn’t realized, are really a memory game; you keep scanning the pieces, trying to match those pieces to the holes you’ve memorized, looking for bits of color that give you clues. I can hardly stand it when I’ve got a perfect hole in the middle of a cluster of pieces I’ve fitted together so triumphantly, and there it is: one perfectly outlined piece, announcing its singular shape, giving hints as to the exact color it needs, and I can’t find it. I scan the unhooked pieces over and over, carefully separate them, and still it’s gone. Always I think it’s gone forever, that even though this is a brand-new puzzle, there must be something missing. But my friend Chris is unflappable. He sits on the other side of the table, moving pieces around with a placid confidence, his glasses pushed up cockeyed on his forehead. They always turn up, he says, without veering his glance away from the puzzle. Just when you think it’s impossible. So many things turn up just when you think it’s impossible. Lace, a vulnerable fabric, so easily torn. The tattered wing of a dragonfly. A snag in the forest, shot through with the tappings of a woodpecker—that Morse code in the woods. Morse code itself, meaning made only through the spaces between dots. It’s too facile to call it a rebirth, too parallel in its imagery—the boy, now a man, delivered through this long passage into the light. All the miners look remarkably clean and healthy, but they must be ragged inside, must be on the verge of exhaustion. I’m sure the miner smells pungent, steeped in his two-month ordeal. His mother must inhale that scent greedily, her boy, her boy. The triage guys take him from her, lay him on a gurney, cover him with a blanket. Even though he still wears the sunglasses to protect his eyes, you can tell those eyes are closing. You can see his body surrender immediately to the soft pillow, the suspension of the gurney. His mother leans over him one more time, kisses him, feels his cheeks the way a mother will do. He turns his head slightly, mouths something softly that only she can hear, only she can understand. John Cage lives in the spaces in between. In his music, he shows us what resides in those spaces where nothing exists, but where everything belongs. His silent piece “4’33” (where the pianist sits and does nothing for exactly four minutes and 33 seconds) creates a hole, a hollow place that holds anything we want to put inside. All the miners had jobs to do, down there in the rescue chamber. They had to keep building walls, adding reinforcements. They kept busy in order to stay alive. One was the cook, one the foreman, one in charge of water. And one miner was the poet. His job, I’d like to imagine, was the most important. I can hear his words vibrate the rock, drill bits turning and turning, incantations boring a hole toward the sky. 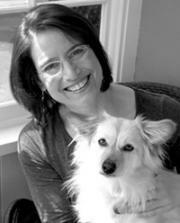 Brenda Miller is the author of Blessing of the Animals (EWU Press, 2009); Season of the Body (Sarabande, 2002); and co-author of Tell it Slant: Writing and Shaping Creative Nonfiction (McGraw-Hill, 2003). Her work has received six Pushcart Prizes and has been published in numerous literary journals. She is a professor of English at Western Washington University and editor-in-chief of the Bellingham Review.